DrivingElectric.org is expected to launch this weekend in coordination with National Plug-in Day. The site is envisioned as a community for connecting "EV Curious" (prospective electric vehicle owners) with those who already own electric vehicles. I have become involved with the effort to launch the site ... FWIW. The following announcement was sent by Felix Kramer last week. It's possible at this time to join the website and kick the tires, but the official launch is this weekend. "DrivingElectric.org is a nonprofit startup that will spark the widespread adoption of plug-in electric vehicles (PEVs) through personal engagement and the power of online networking. We'll connect current plug-in drivers with consumers who want to make informed decisions about their next vehicle. When it launches, it will provide an essential missing piece for the mass-market success of PEVs." You can get a picture of what we're starting to build at http://beta.DrivingElectric.org . There w have a bare-bones preview of a home page showing "ways in" for drivers and for consumers. On our About page, you'll find information for gaining support. (As we develop, we will seek co-sponsors and other partners.) On our Get Involved page, you'll find "help wanted" ads for one paid and three volunteer positions. AFTER YOU LOOK AT THESE THREE PAGES, feel free to send us comments, and to forward http://beta.drivingelectric.org to other advocates and people who might help fill out the team. Building on the mantra "it takes a driver to make a driver," DrivingElectric.org is launching a new service to facilitate these kinds of exchanges between plug-in drivers and the "EV-curious". 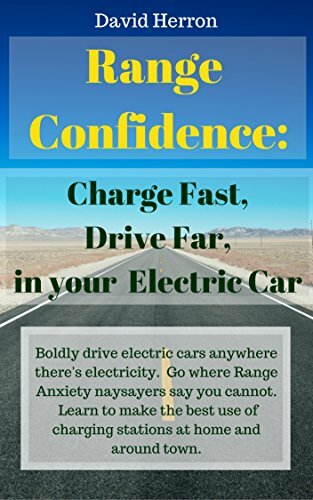 DrivingElectric is a collaboration between the major plug-in driver groups (Plug In America, The Electric Auto Association, and CalCars) to accelerate the widespread adoption of plug-in vehicles. It's launching an online community and searchable directory of EV drivers who want to share the joys of driving electric with those around them. At DrivingElectric.org, drivers can post photos, videos, blogs, events, participate in discussion forums, and a whole lot more. 3. Send feedback. You can see the things we're still working on at http://dev.drivingelectric.org/known-issues, and send email from there. With your feedback and active participation, the DrivingElectric team hopes to launch to consumers everywhere on National Plug In Day, September 23 http://www.pluginday.org. We hope you will help them achieve their goal! If it isn't saturated with advertising like this site, doesn't take forever to load like this site, and doesn't use the worst captcha login version on the Web like this site, I'll be there. That post, BTW, took three minutes to go through. "It only takes about 15 minutes to create a profile about you and your car." So that new site is only open to plug-in elctric car drivers, or also for for plug-in elctric motorcylce riders? jackasses don't represent typical EV owners. I hope this was a mistake ... I've sent a note to the team and hopefully it will be sorted out. We are a tiny group of mostly volunteers, and have not responded personally to all emails. Please re-send your email about a site glitch to support@. Q. I can't find my Driver account. Was I deleted? A. We have not intentionally deleted any users. Some registrants who did not respond to the original registration email to validate their accounts may be deleted after 48 hours. We wrote users to remind everyone to do this, and tune up their profiles, but some may have missed that email. We are working to reinstate any who registered and were deleted. We are starting with highway-capable four-wheel vehicles, We hope in the future to add motorcycles, Citycars, Neighborhood Electric Vehicles, and other 3 and 2-wheelers, since they're all of course part of the plug-in story. You can already list a conversion and describe other vehicles in "My EV story." We'd love to get a group of electric motorcycle enthusiasts working with us to be sure we include your community the way you want it, and so you can use DrivingElectric (when we enable search by vehicle type) to bring together EV-curious people with drivers of electric motorcycles. Thanks Felix for at least a statement concerning our beloved (and sometimes cursed...) electric plug in 2-wheelers. They are the no.1 inroads to the drive towards electric vehicles, so it does surprise me a bit that your inital focus is only on electric cars, leaving out the 2-wheeled pioneers and trailblazers so-to-speak. You're right that for a long time, the tens (hundreds) of millions of electric two-wheelers around the world will have a greater impact globally on petroleum use and greenhouse gas emissions than the small number of full-sized electric vehicles now coming to market. I've been focusing on cars (in fact, at CalCars.org, mostly in plug-in hybrids) for 10 years, but now drive a BEV and a PHEV). As you may know, our other two sponsors, Electric Auto Association and Plug In America, have been promoting both, and their efforts were critical to getting federal tax credits for 2- and 3- wheel plug-ins. Let's figure out what we can do together ASAP! The reason that some users - and I'm guessing they were mostly or even all two-wheeled EV owners like me - didn't reply to the confirmation was that it was never sent. Nor was it resent when that option was tried. I'd be more inclined to blame a software glitch if the beta site didn't say, IIRC, that accounts would be 'reviewed'. You folks can backpedal all you want now, but you've probably shot yourself in the foot before even leaving the starting block. Instead of getting serious adults with two-wheeled EVs, you'll get 13 year olds (yes, that's the minimum age for membership, as long as you don't say you have a scooter or motorcycle) with golf carts sporting flames. I for one have better things to do than look at photos of Leafs (Leaves?) and Teslas, and read about one man's concern about what his wife would be wearing when they drive their new Corvette, er, Tesla. BTW, it looks like I've been using EVs longer than most of the people behind this site. Actually, I am on the moderator staff for that site (look on the About Us page and you'll learn my title at Driving Electric is "Community Engagement Consultant") ... So, for example, when someone asked if anybody has actual EV experience the answer is "Yes", because I do ;-). Most of the others involved drive electric cars of one kind or another, and Felix Kramer was the organizer of the project that contributed the most to the Plug-in Prius conversions. Anyway.. Your question identified for me a problem with the site. We don't have a good way of knowing about new unapproved postings. Your comment was sitting in an unapproved state, and I had no way to know about it until you mentioned it, and I took a look. I've now approved all the comments, except for the spam comments of course. We have already added names of the three street legal electric motorcycles to the list of vehicles available when you add your vehicle. Thanks for the response, and for approving the post. I don't understand, though, how a site that seems to want people to post in its forums, and requires pre-approval of posts, can be set up so that there is no easy way to see posts waiting for approval. Yikes. Um, I just went and looked, and it looks like you approved *all* the posts, spam included. Some of them I don't even understand. Turns out there was already a way to view the unapproved comments .. so I went through that list. As for the spam comments, thank you for pointing that out, but I was unpublishing them.. uh.. sigh. It's a Drupal based site, as is V, but they're configuring it differently.